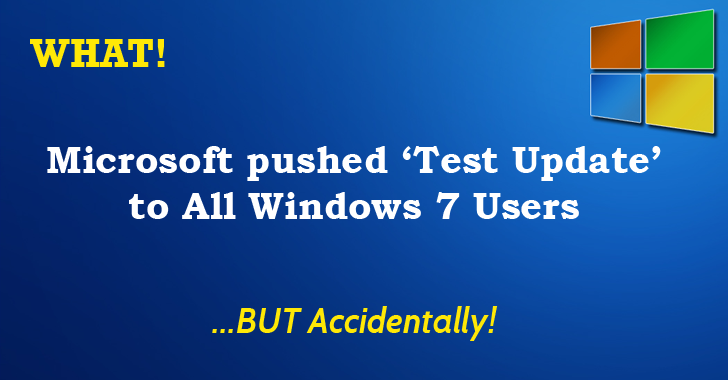 A highly mysterious update that was pushed out to Windows machines globally was the result of a test that was not correctly implemented. 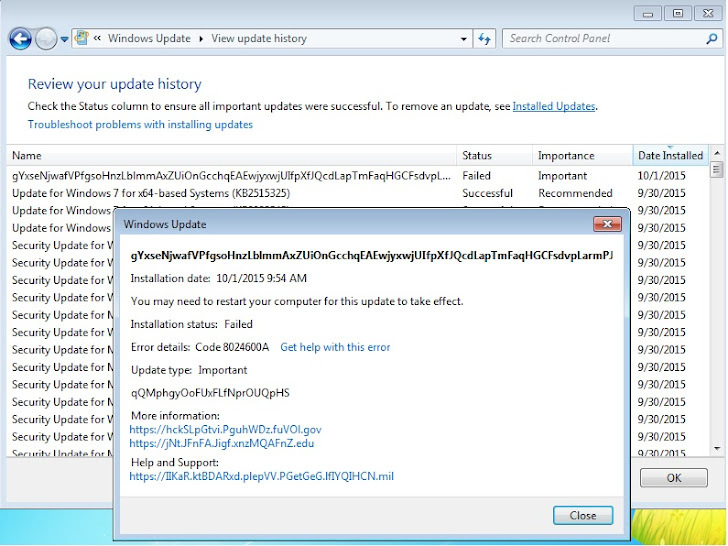 Yes, Microsoft accidentally released a test patch (KB3877432) to consumer machines running Windows 7, making users believe that the Windows Update service got hacked, and they are infected with malware. However, several hours later, a Microsoft spokesperson clear the air by confirming that the company had "incorrectly published a test update" and that they are "in the process of removing it." Windows users started raising concerns on social media, Microsoft community forums, and news-sharing sites that the Update service has been compromised in some way. The rogue patch, 4.3MB in size, advertised itself as a Windows Language Pack and flagged as an "Important" update, but featured strange and inaccessible URLs and lacked any detailed information. Is My Windows PC Being Compromised? A Windows user reported that after the successful installation of the patch, his laptop was "screwed after the update," describing frequent crashes and that it "killed [his] system and compromised [his] gear." Some Windows users tried to install the patch in question, but the process failed as Microsoft rapidly removed the test update from its servers. It is still unclear what was inside the test patch, or whether the patch modified any Windows files, but the fact that the test patch was mistakenly released on the Windows 7 systems should definitely give Windows 10 users relaxation. Microsoft hasn't provided any further statement or details at the time.